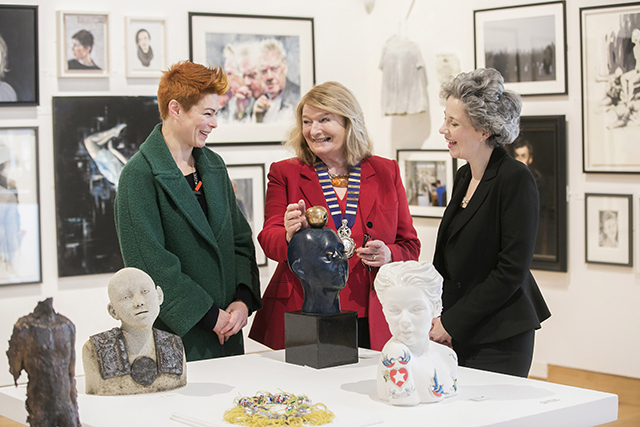 Image: Pictured launching the Own Art initiative at the RUA are (L-R) Glass artist, Alison Lowry, President of the RUA, Dr Denise Ferran and Head of Visual Arts, Arts Council of Northern Ireland, Dr Suzanne Lyle. 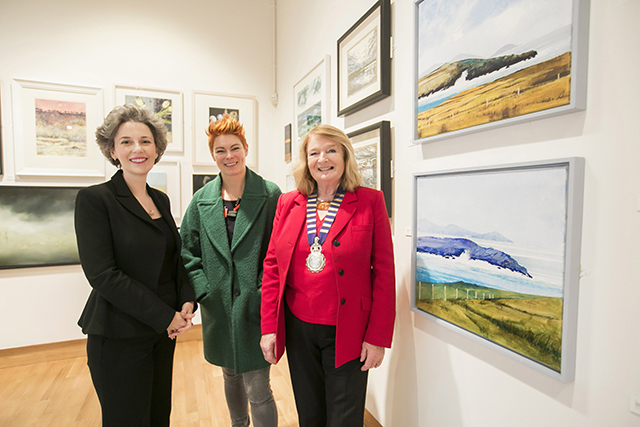 Starting or growing your very own art collection has never been easier thanks to ‘Own Art’, an interest free loan scheme supported by the Arts Council of Northern Ireland, which aims to make buying art more accessible. For the first time, the scheme is available at the 136th Royal Ulster Academy of Arts Annual Exhibition at the Ulster Museum, featuring over 300 artworks as part of the Belfast International Arts Festival. Own Art makes interest free loans possible for people over the age of 18 in Northern Ireland, who wants to buy artwork by a living artist from galleries that are signed up to the scheme. It works by letting you spread the cost of the artwork over 10 months, making it more affordable to buy the artwork of your dreams. Own Art customers are able to borrow anything from £100 to £2,500. The loan can also be used as a part-payment on higher value items, helping to support more ambitious buying. Art can also be purchased from hundreds of Own Art member galleries across the UK, many of which specialise in different types of work from prints and photography to ceramics and jewellery, with many offering availability online also.